The Golden Knights have clinched a playoff berth and they’ve won the Pacific Division. With that comes a guarantee of home-ice in the first two series with just the Western Conference and Stanley Cup Finals seeding up for grabs. Vegas currently sits second in the Western Conference and fourth in the NHL. They likely aren’t catching Nashville, Boston, or Tampa, and only have to fend off Winnipeg to hang on to the fourth position. However, even if Winnipeg passes the Golden Knights, the only impact it could have is if those two teams face in the Western Conference Finals. So, the Golden Knight essentially have three games that mean little to nothing in the scope of the season. 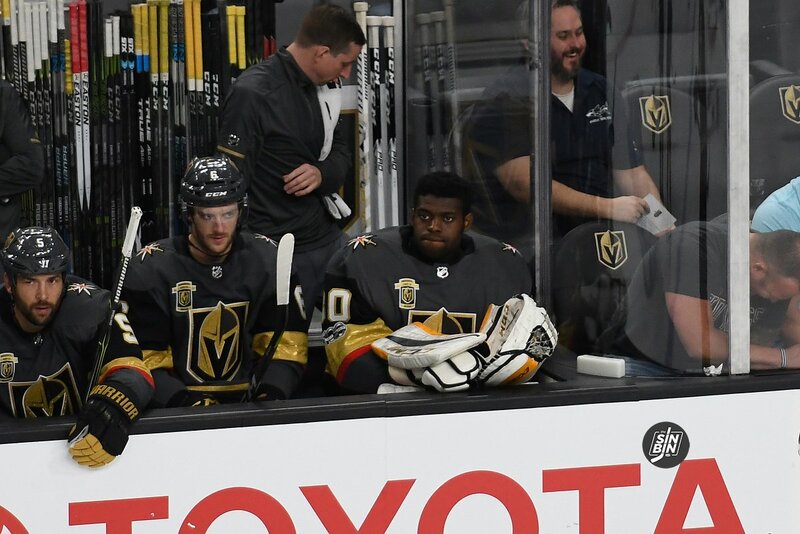 The Golden Knights have multiple injured players, Reilly Smith, Luca Sbisa, William Carrier, and David Perron that could use the games to get back into game form. They have a college free agent in Zach Whitecloud who has never hit the NHL ice, and they have 11 players who have played in 70 or more games this season. Resting William Karlsson would be a tough call for All Star head coach Gerard Gallant. He’s pushing 45 goals and still has a legitimate shot to lead the league and win the Rocket Richard Trophy. Nonetheless, without a healthy and fresh Karlsson in April, the Golden Knights would be in trouble. Colin Miller is an interesting case as he’s played in every game this season. However, his ice time ranks below both Deryk Engelland and Nate Schmidt who have both missed games. Miller could get the call for Whitecloud or they could leave him in there and let him play all 82 counting on the fact that his minute load was never massive all year. The final question is what to do with the goalies. Fleury has played just 45 games this year, but 40 of them have come since December 12th. Fleury has also played 25 of the last 28 including a stretch of 11 in a row. I’d expect Subban to get the start in Edmonton and Fleury to get Tuesday and Saturday as they gear up for Game 1 of the playoffs, likely on April 11th. I can’t describe how excited I will be to see Reilly Smith on the ice again. Sometimes you don’t realize how much you’d miss a player until they’re not playing. I underestimated how valuable Bellemare was to the PK and our defense until we didn’t have him for a stretch then I realized what a team effort it is. We need everyone healthy if we are going to win it all. And this group can win it all. They may just be getting healthy at the right time, frankly. Truly hope Carrier draws in over Reaves for playoffs. Speed and toughness!! !